Egypt’s Central Bank governor Tarek Amer initially agreed on the proposal of Real Estate Development Chamber (REDC) to renew its initiative concluded in January to support the up middle-income housing projects, offering funds with 10.5 percent interest rate. These remarks were made by Tariq Shorky, chairperson of REDC, on the sidelines of his participation in the International Real Estate Development Conference on Monday. The initiative will be implemented starting from July upon a demand from the sector representatives over a meeting with the CBE officials more than 10 days ago, Shoukry added, affirming the close coordination with the banking sector. Amr Soliman, chairperson of Mountain View, said that the lower interest rates will encourage the real estate companies to boost their businesses, expecting the demand on real estate to continue its growth trend over 2019. In 2017 and 2018, the real estate demand rose by 35% despite the very high interest rates, Soliman mentioned. 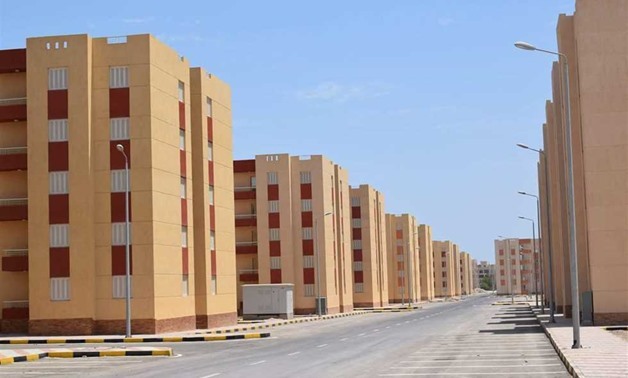 “We agreed with Assem El-Gazzar, minister of Housing, Utilities and Urban Communities to have a meeting with the Royal Institute of Chartered Surveyors (RICS) to discuss further collaboration,” Soliman noted. Amr Demerdash, Senior General Manager of corporate banking at Ahli United Bank, affirmed his bank’s keeness on financing the real estate sector, adding that the total contracted sales of real estate in 2018 reached EGP55bn. The demand on real estate in Egypt is real as the population growth is at 2.5% yearly and there are many marriage cases that require extra housing units, he mentioned. He also pointed out that after the devaluation, the price became lower which encourages the Egyptian expatriates to buy the unites, noting that foreigners will be encouraged in next phase. Eslam Seif El Nasr, vice president of global customer relations at the Commercial International Bank, said that huge share of the bank’s portfolio for real estate, is for the projects that are under establishment, which is very important for the sector development.